A course for bassoonists to experience playing together in small groups; anything from duos to octets, developing sight-reading and enjoying the sheer exhilaration of working in ensembles. 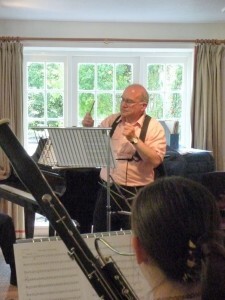 Many aspects of bassoon technique will be examined and explained; from reed adjusting to fingerings and tackling those tricky passages. The weekend would be invaluable in helping to prepare for end-of-year recitals, grading exams or just working through those pieces that you have never had a chance to explore before. Accompanist Colin Hunt will focus on repertoire for bassoon and piano. There will be an informal Participants Concert, which is completely voluntary.